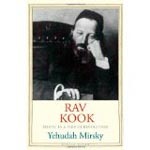 Rav Kook lived through religious, political, and social revolutions in a wide variety of settings, all roiled in extraordinary ferment and uncertainty. He witnessed the throes of Rabbinic Judaism in the last decades of the Russian Empire, the new settlements of early twentieth-century Palestine, the Europe of World War I, and interwar Jerusalem. He engaged with the leading political, cultural, and religious figures of the time and became one of them.